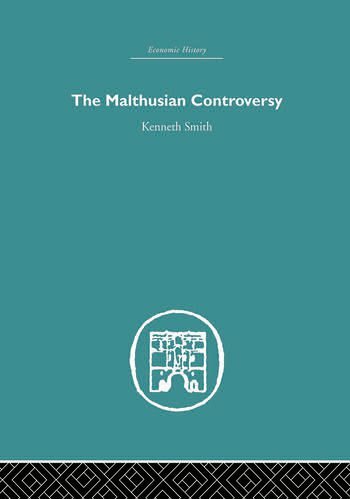 This book, first published in 1951, focuses on the hitherto ignored contemporary critics of Malthus, giving them the attention they so rightly deserve. Dr Smith traces the Malthusian controversy step by step, from 1798, the date of the First Essay, to the death of Malthus in 1834. Investigating the precursors of Malthus and the genesis of the Malthusian Theory of Population, the book subjects the theory to a searching analysis in the light of not only contemporary criticism, but also subsequent developments and modern ideas. In addition, the book examines the application of the theory to the doctrine of perfectibility, to wages, to the poor laws, to emigration, and to the birth control movement. Fully annotated and written in an easy style, this work is indispensable to serious students of both population problems and the development of economic thought. Broad in scope, The Malthusian Controversy presents a new perspective on the most urgent of modern issues, the problem of world population.